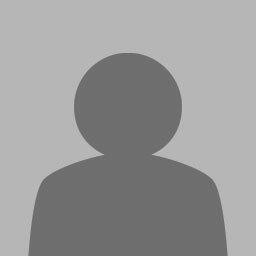 Listed over 1 year ago by Barry James Music sells gear! 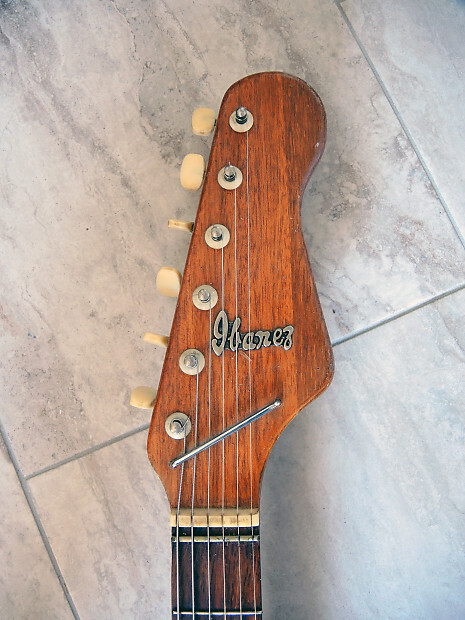 For sale is an Ibanez 884 guitar project made in the 1960s that was clearly influenced by Fender offset guitars. 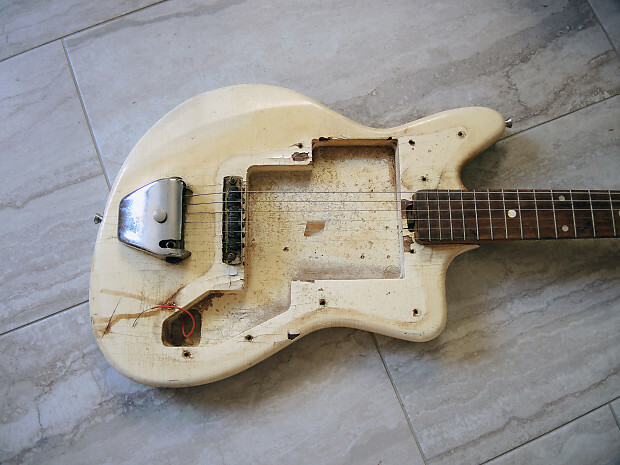 This guitar is in fair condition. 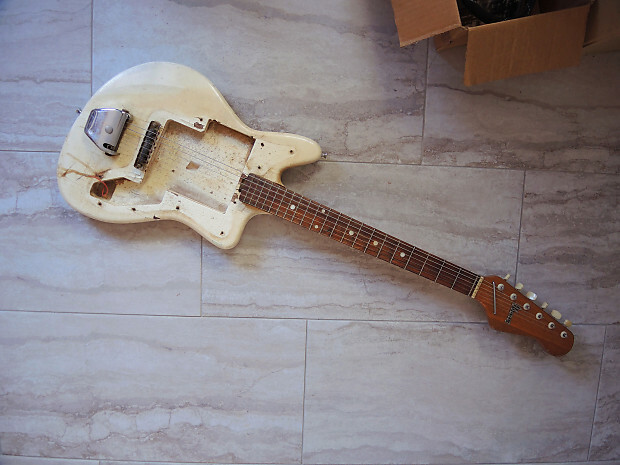 It is missing the pick guard and pickups. However, everything else is there, including tremolo, bridge, original tuners, strap buttons, neck backing plate, Ibanez logo, and even the "ash tray" tremolo cover with screw. It could use a good cleaning, but I decided not to clean it so that a tracing can be made for the pick guard. Frets are in decent condition, plays OK but could use a fret dress. The neck is straight and action is low. 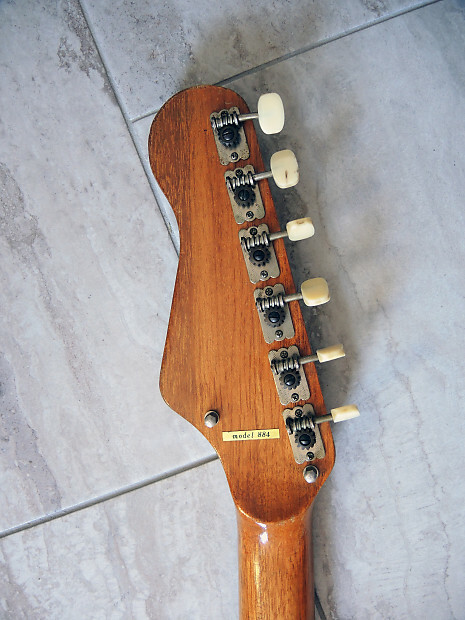 The neck is very fat, it could be categorized as a "baseball bat" neck. 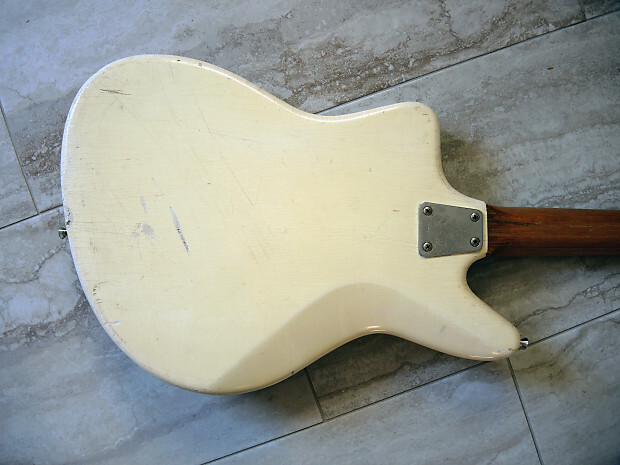 The original finish is starting to flake off the body in sections (neck heel, for instance). Also, the high-E tuner is bent but still functions properly. Before shipping, the neck will be removed to protect the guitar and fit it in a reasonable shipping box. Barry James Music sells gear!